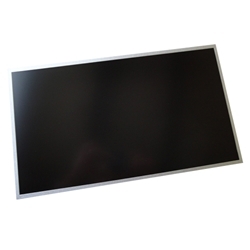 New Acer Aspire 7000 7100 7110 9300 9400 9410 9420 Laptop Lcd Screen 17"
Home → Laptop Screens → Acer Aspire 7000 7100 7110 9300 9400 9410 Laptop Lcd Screen 17"
Acer Aspire 7000 7100 7110 9300 9400 9410 Laptop Lcd Screen 17"
Description: New Acer replacement 17" lcd screen. This may be the part you need to replace your broken or cracked screen. Compatible Part #'s: LK.17108.011, LP171WP4, 6091L-0673B. Acer Aspire 7000, 7100, 7110, 7520, 7520G, 7720, 7720G, 7720Z, 7720ZG, 9300, 9400, 9410, 9410Z, 9420. Acer TravelMate 5620, 7320, 7510, 7520, 7520G, 7720, 7720G.